Recently the Sands at Nomad has been certified as SILVER by the environmental body Ecotourism Kenya. This award was received after environmental auditors visited The Sands Hotel and Restaurant, noting it's projects, ethos, environmental policy and it's path towards sustainability. 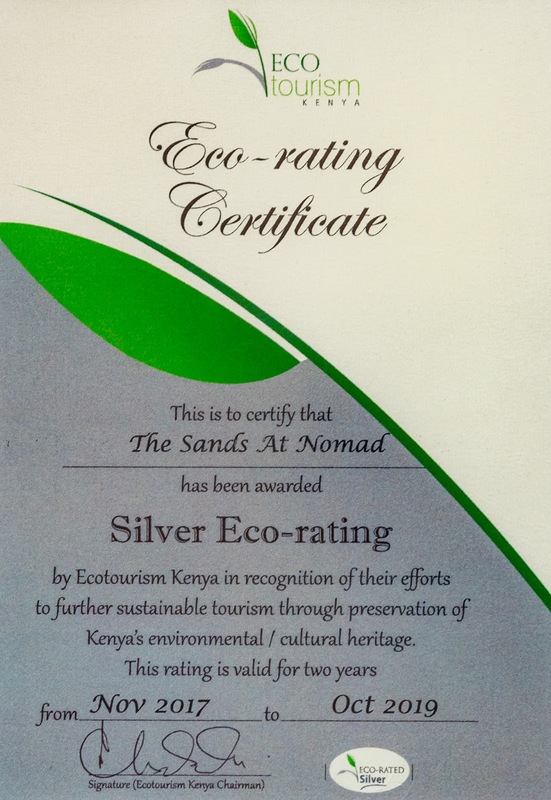 In their report the Sands was reported to be an 'Exemplary property' and was moved directly to the silver category by-passing bronze.